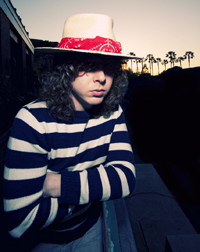 Singer and songwriter Ben Kweller will open for Third Eye Blind at William & Mary’s Charter Day concert on Feb. 4. Kweller began his music career with the band Radish in the early 1990s. Since embarking on his solo career, he has toured with numerous bands including The Lemonheads, and he has collaborated with multiple musicians and groups including Guster. His fifth studio album, “Go Fly a Kite,” is expected to be released in February. Rock band Third Eye Blind will headline the Charter Day concert. Since the group formed in the early 1990s, Third Eye Blind has released four studio albums, including 2009’s “Ursa Major.” They are known for chart-topping songs including “Semi-Charmed Life,” Jumper” and “How’s It Gonna Be.” They’ve won a Billboard Music Award and received nominations for two American Music Awards. The Charter Day concert will take place at 8 p.m. Feb. 4 in Kaplan Arena at William & Mary Hall. Tickets are $15 with a valid William & Mary ID (limit one per valid ID) and $25 for the general public. Ticket prices will increase $5 ($20 with a W&M ID and $30 for the general public) on the day of the show. Tickets for the event are available online at web.wm.edu/amp.